handicrafts, folk art objects and local toys have been handed down since ancient times. Miyachu produces thatched household Shinto altars called “Ise no Shinden” that look exactly like real Shinto buildings of Ise Grand Shrine constructed in the Yuiitsu Shinmeizukuri style. As miyashi, craftspeople specializing in making Shinto shrines and household Shinto altars, we have been engaged in production of Shinto-related products since 1938 in Ise, the home territory of Ise Grand Shrine. Please take a look at our products that are made one by one manually using our proficient skills and selected materials. Prayers to Shinto deities give you courage and peace of mind. With the “techniques to make high-quality products acquired through the experience in Shrine and altar production” and the “enthusiasm as worshippers of Shinto deities and nature, Miyachu has made it its mission to produce household Shinto altars that deserve to stay with people who honestly make wishes for happiness. Design and construction of Shinto shrines, Tenrikyo churches , indoor/outdoor shrines (shrines on the premises of factories and Inari shrines) and wedding halls as well as production and sale of tools used for Shinto rituals, thatched household Shinto altars, a wide variety of small shrines and household altars to pray for the repose of ancestral souls. Received the Award for Excellent Technician from Governor of Mie Prefecture. Received the Award for Contributor to the Development of the Traditional Handicraft Industry from the Traditional Handicraft Industry Promotion Association and the Ministry of International Trade and Industry. Received the Golden Award for Best Established Store in Mie Prefecture at the Annual Online Store Awards 2011 held by Estore Corporation. Received the Golden Award for Best Established Store in Mie Prefecture at the Annual Online Store Awards 2012 held by Estore Corporation (two years in a row). Received the Golden Award for Best Established Store in Mie Prefecture at the Annual Online Store Awards 2013 held by Estore Corporation (three years in a row). Received the Golden Award for Best Established Store in Mie Prefecture at the Annual Online Store Awards 2015 held by Estore Corporation (Miyachu’s fourth Golden Award). Opening Hours: every day of the year from 8:30 a.m. to 5:30 p.m. Please drop by this branch when you visit the Inner Shrine (Naiku) of Ise Grand Shrine. It sells a wide variety of small products. Kokumin Shinden Saisakusho (workshop) started production of Shinto shrines and altars in Ise. A grandfather of Harumasa Kawanishi (current CEO) bought Kokumin Shinden Saisakusho to resume its business. Ex-CEO of Miyachu took over the workshop to improve its production techniques and expand its production facilities. Built an additional workshop (200 square meters) in Okamotocho, Ise City. Built the building of its Main Shop with a showroom (430 square meters) on the site where Kokumin Shinden Saisakusho was originally founded. Incorporated its business to establish Miyachu Co., Ltd. Built a new workshop (330 square meters) and a new storehouse (170 square meters) to expand its productivity. Remodeled its Main Shop to extend the areas for the showroom and the storehouse for products. Bought an estate adjacent to its workshop to build its second storehouse for wood (500 square meters). Built its third storehouse for wood (270 square meters) equipped with movable storage racks for quick drying and conveyance of the stored wood. 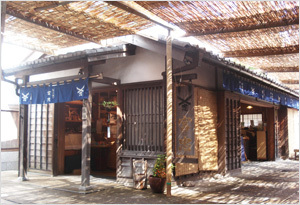 Opened its Okage Yokocho Branch in front of the Inner Shrine (Naiku) of Ise Grand Shrine. Bought an estate near its Main Shop (1,200 square meters) to make a parking lot. Bought an estate adjacent to its workshop (1,200 square meters) to build a storehouse for products in the near future. Opened an online store on Yahoo. The construction of its new storehouse for products reached completion. Opened an online store on Rakuten. Opened an online store on Amazon. 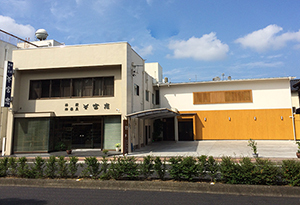 Renovated the building of its Main Shop in front of Geku Sengukan thoroughly to extend its floor area. Opened an online store on Ponparemall. Copyright (C) MIYACHU. All Rights Reserved.